Don't forget tonight's PowWow!! 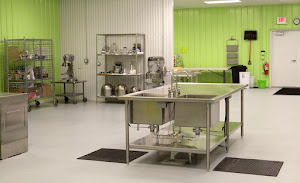 Are you ready to be profitable in your specialty food business! A mini conference at Facility Kitchens (www.facilitykitchens.com) 6:30pm – 8:00pm. Sarah Rossell, accountant, will present briefly on bookkeeping and taxes for the specialty food business. Then Lance Raimer will tell you how to increase food sales with a good distributor! Spots Available for Today's Event! Please remember our special event tomorrow!